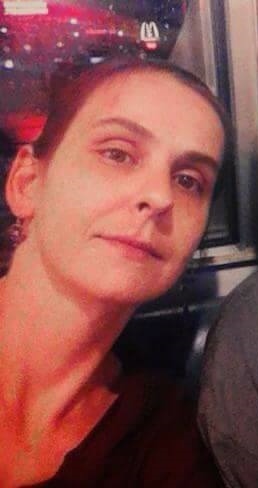 Amy Irene Wheeler, 40, of Crooksville died at 6:54 AM, Sunday, December 2, 2018 at Riverside Methodist Hospital following an extended illness. She was born August 29, 1978 in Zanesville, the daughter of Carolyn (Smith) Thorp of Crooksville and the late Delbert Thorp. Amy along with her late husband, David both worked for the Glassfloss Corp in Lancaster. Following the birth of her youngest daughter, Amy decided to leave work and spend time raising and caring for her darling children. Amy was an absolute and devoted mother to her three children, Jennifer, David and Megan. She really jumped into the trend of adult coloring books, she would create these amazingly beautiful works of art, spending hours completing the intricate designs on each page. Amy will always be remembered for her joy for cooking. Her children emphatically expressed that she made the most delicious homemade spaghetti, and that she was the best mother anyone could hope for. In addition to her mother, surviving Amy in life are her daughters, Jennifer Wheeler and Megan Wheeler; her son David Wheeler, Jr.; her sisters, Lisa (Tim) Bobb and Delberta Riffle; her brother, Warren 'Jay' Thorp and her life partner, Jimmy Propst. Amy is preceded in death by her husband, David Wheeler who died September 24, 2008; her father, Delbert Thorp and her brother, Daniel Thorp. Friends and family will be received, 10:00 AM-2:00 PM, Thursday, December 6, 2018 at the Goebel Funeral Home, 36 N. Buckeye St. Crooksville. Funeral services and a celebration of Amy's life will follow at 2:00 PM at the funeral home with Nancy Ellers officiating. Amy will be laid to rest next to her husband, David in Iliff Cemetery. Memorial contributions may be made in Amy's name to the funeral home to help with funeral expenses.